Among several students I produced to Federal University of Agriculture Abeokuta (FUNAAB) this year was Glory. The poor girl was back to thank me especially for how I’d helped her make the right decision that secured her admission to the University. You see, as an education consultant, you must know what works for one school and what doesn’t. The systems for each school can be widely or slightly different. This is what you learn with practice and time if you find yourself in my field. Glory completed her predegree program at Osun State University. While getting set to be given admission into 100 level, the government increased the school fee. She was not only disappointed but destabilized. She came to me for help and guide on where else to turn to. She didn’t want to waste her UTME score, at the same time her parents couldn’t afford the new tuition. After checking her O’level results grades and UTME score, we both did some calculations and we concluded she should consider change of institutions to the Federal University of Agriculture, Abeokuta. She did, and today, bona fide admitted student of the university. This post is meant to give you the same guide that had worked for Glory and thousands of admission seekers to FUNAAB. If you’ve been following me in this series, you must have read about any of the schools below too. If you haven’t, but interested, you can read them now. Otherwise, let's continue with FUNAAB. 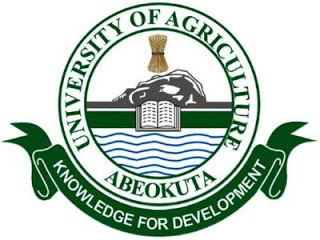 Let’s get into the Guide to Gaining Admission to the Federal University of Agriculture, Abeokuta (FUNAAB). Except a school is using O’level results points to grade her applicants, SSCE results shouldn’t be more than just “at least 5 credit passes in relevant subjects”. JAMB brochure will tell you the same thing about all institutions and courses. FUNAAB admission needs more than that. They, like other schools, recon with 5 relevant subjects in SSCE. However, admission seekers to FUNABB will do well to produce some distinctions (i.e A or B) in his or her SSCE. You’ll get this better when I talk about aggregate score. Ride on! First and foremost, hope you're set for admission with your O'level results? By this I mean, do you already have 5 required grades in your relevant SSCE, WAEC, NECO, GCE, NABTEB? That question may sound rhetorical but I must warn you that without 5 relevant O'level results, you're going nowhere. Studying JAMB brochure (as I will be covering below) will guide you as to what subjects you must have credits or passes in - to study a particular course. You can also use awaiting results to seek admission to FUNAAB provided the results will be out or available before the school's post UTME. This means if you're in SS 3 or you're yet to have completed O'level, you can fill in awaiting results for your O'level during UTME registration at CBT centre. Note however that, immediately your O'level result is released and the required grades are made, you have to go back to CBT centre to scan and upload it to JAMB portal. This may attract additional charge! Generally, you'll need at least 5 credit passes in relevant subjects in one or two sittings before you can apply. Admission process to any school starts with UTME registration. Unless you want to leave home through pre-degree, foundation class, Sandwich, Diploma, IJMB, JUPEB and the likes, you will have to write and pass JAMB UTME. During your JAMB registration; at CBT centre, select FUNAAB as your most preferred institution (first choice). Well, you can’t even choose the university as 2nd, 3rd or 4th choice. Why? JAMB only arranges the likes of FUNAAB to the 1st choice only. Take your Preferred Course for FUNAAB. What are the O’level requirements for your proposed course. I have really covered what you must look for and how to look for it in my post, “How to Study, Understand and Use JAMB Brochure to avoid errors”. You SHOULD click to read it if you’ve not. Don’t skip this please. JAMB doesn’t provide paper brochure for now but you can read CD type on your computer or study or download on JAMB website. Thank God, JAMB has made things simpler for you by providing a platform where you can check your eligibility for a school and the course you chose or wish to choose there. I explained to use the platform here. Your UTME result is out and it’s time to write FUNAAB Post UTME. The university is one of those schools that conduct entrance exams to weed out some candidates. But first, what is your UTME score? Is it suitable for your proposed course? If you don’t have between 180 and 200, forget FUNAAB i.e you must score 180 or above to proceed to the next stage. NOTE: FUNAAB is so flexible about JAMB cut-off mark; they choose 180 some times. Hence, I advise you bookmark this post for updates or be on the lookout for their updates directly on the admission portal. If you check last year post UTME advert, you will see a list of courses they accepted 180 for and those at 200. Are you qualified or not? If you’re, thumb up! If you’re not DON’T panic. You can still consider change of institutions to other schools. Some universities, polytechnics or colleges of educations will accept lower marks than you have. Check the list of those universities here. 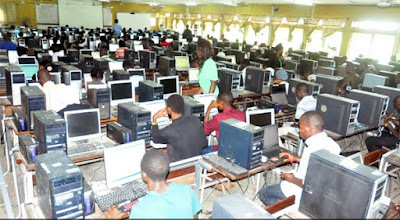 How Does FUNAAB Calculate Points for UTME? 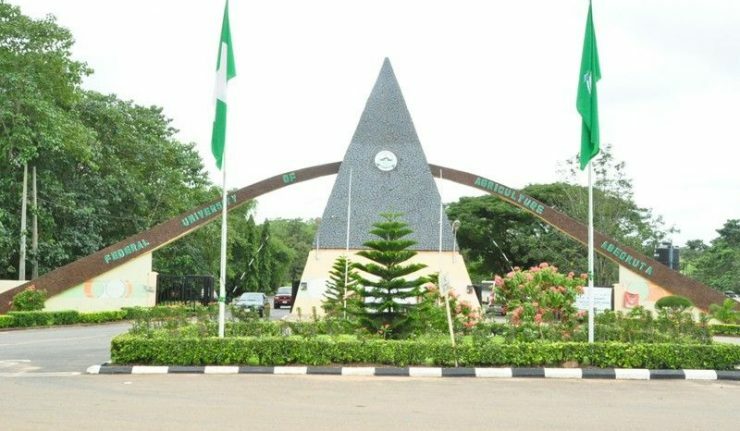 FUNAAB uses a Composite Grading System which consider the O'Level, Post-UTME and UTME and ranscript results of a candidate. Composite score is based on ratio 30:20:50 for Post-UTME, O'Level result and UTME score respectively. O'level points is based on ONLY five core subjects: English, Mathematics, Physics, Chemistry and Biology. A1, B2, B3, C4, C5 and C6 grade are rated as 6, 5, 4, 3, 2, and 1 point respectively, all other grades are rated as 0 point. Thus, the maximum obtainable Total O'Level points is thus 30pts. Where Agriculture is accepted for a pass in Biology, the grade of Agriculture does not reflect on the O'Level point. In order words, FUNAAB only recongnises one of Biology or Agric science in O’level; not both. Where a candidate present 2 results, the calculation is based on the better grade for each of the core subject. However, 1 pt is deducted from the total score obtained. O'Level composite percentage = Total O'Level Points multiplied by 2/3. This section is not for everybody! Direct entry applicants are candidates who had completed their studies in Bsc, HND, ND, NCE, IJAMB, JUPEB, Cambridge Advance Level (A’levels) etc. Then later want to further their studies to university for their courses or related courses but this time to 200 or 300 level straight. If you don’t belong to this category of candidates, skip to the next section. As a direct entry admission seekers, you must have equally obtained JAMB Direct Entry form (not JAMB UTME form). You also must register at any available CBT centres across the nation. JAMB direct entry form usually comes out the very time UTME candidates are registering too. It was in the past that DE form came after UTME. During the registration, your first choice institution should be FUNAAB as the university doesn’t consider second choice applicants. Before registration, please visit, study and understand the brochure. DON’T IGNORE this please. I had covered what you need to look for in JAMB brochure here. Please take a minute to read. The special consideration (waiver) remarks part of your brochure is more focused on DE applicants. You can also check if you're eligible before anything. The university is known for giving preference in direct entry admission for their IJMB, JUPEB and Cambridge candidates. If you fall to this category with a good point/grade, lucky you. This doesn't mean the university is not accepting candidates from polytechnics, colleges of education and others. If you have grades as stated below, you won't be denied a space. they have the SOLE responsibility of ensuring that they meet the minimum admission requirements at Ordinary Level, OND, NCE or HND before making any payment. If at any point it is discovered that the candidate does NOT meet the minimum admission requirements, such offer of admission shall be withdrawn and payment made is NON- REFUNDABLE. In addition to the minimum DE requirement specified at O'Level, candidates seeking admission by Direct Entry are expected to possess a minimum of UPPER CREDIT at ND or HND and CREDIT at NCE for admissions into related areas from a recognized institution. At least two A-Level/IJMB/JUPEB passes in the following: Mathematics, Physics, Chemistry or Biology/Zoology/Botany are acceptable for admission into 200 Level. FUNAAB DOES NOT ACCEPT LOWER CREDIT FOR DIRECT ENTRY ADMISSION. Candidates are expected to forward their Academic Transcripts to the University Registrar usually before the closing date for their post DE. Such date will be announced on the admission portal. As a pre-degree student, you may want to ask: Do I need to pass UTME as a candidate of Pre-Degree to gain admission into FUNAAB? Yes. Level of passes differs based on specific courses. This means, the school may draw a lower score/mark for her pre-degree students to favour them in the admission list. However, FUNAAB is not well known for this. 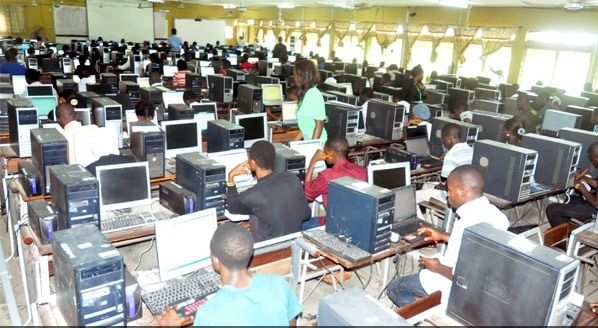 Predegree candidates proceeding to 100 level should ensure they score not lower than 180 in JAMB and partake in the post UTME activities before expecting admission. It’s like nothing works on merit in this part of the world again. Is that what you think? You can be right and wrong! Below is my explanation. Now you have got good marks in UTME and Post UTME and you still panic you may not be given admission eventually. Why? People have been let down like this in the past not only buy FUNAAB but many other institutions. Some people attribute that to lack of connection or influence. If you don’t know people; lecturers, professors, security men etc – it doesn’t matter what you get. This is the notion of the days but you may be wrong. Schools still use merit. They use connection too but there’s no way connection will supersede merit. Get this! For every federal university like FUNAAB, 45% of applicants must be considered on merit, about 35% for catchment area and 20% for educationally less developed states.You will understand the use of this 45:35:20 if you read this post. I know lecturers help with admission of some applicants. I know equally that, a lecturer will not waste his slot on a candidate who already merits that admission. So, when you’re already on the merit list, no one can take you off it. All you should just work for is being on that merit list. I know I haven't completed this guide yet, I will keep updating it as I remember new things and new information surfaces about the university admission. Also, you might have not seen me covered exactly what you're looking for. Why don't you ask questions in the comment section below? I'll love to answer your questions immediately and include it in my next update.